The Suez Canal in Egypt is 101 miles long and runs between Port Said on the Mediterranean Sea and Suez on the Red Sea. It allows boats and ships to travel from Europe to Asia without having to the long way around Africa. 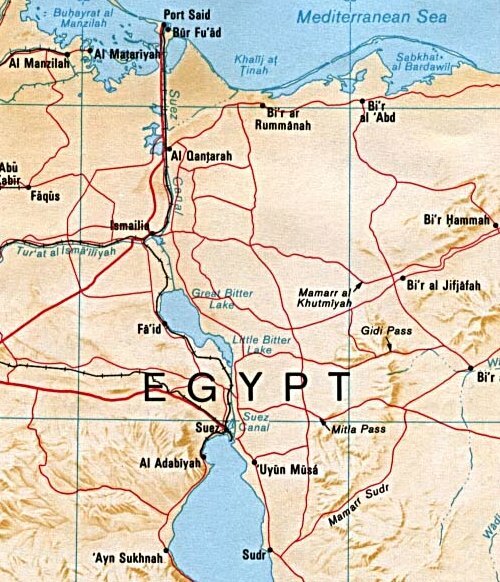 On 26th July 1956, Egypt's President, Colonel Nasser, announced the nationalisation of the company who owned the canal. This would give them money to help build a dam on the River Nile but angered the British Government and French stockholders who owned large shares in the canal, from which they received a lot of money each year. That same day, Egypt also closed the canal to Israeli shipping. Israel, France and the UK then made a secret agreement called the Protocol of Sèvres to regain control over the Suez Canal. 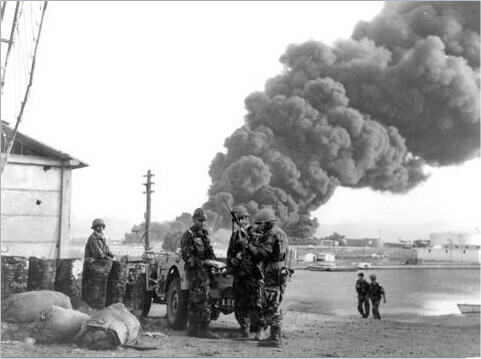 The Israeli military invaded Egypt on 29th October 1956 and two days later British and French planes began destroying most of the Eyptian air force on the ground. British Prime Minister, Anthony Eden, compared President Nasser to Adolf Hitler. The news of the invasion sparked protests against the war in Britain and fearing that the crisis could escalate, the United Nations (a grouping of representives from across the world), created a peacekeeping force to enter the region and ensure access to the canal for all. 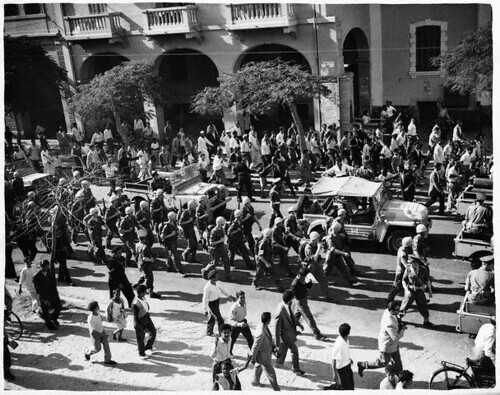 Celebrations took place in Port Said on 23rd December 1956 when this action was successful and British and French troops left Egypt. Following the crisis, Anthony Eden resigned as prime minister of Britain due to ill health on 9th January 1957 and was succeeded in the role by Harold Macmillan the following day.